Solving all of the variables that can arise from the incidents usually involved in a flooding crisis are meant for professionals and that is why our water damage Irving team with 911 Restoration Fort Worth are here for you day and night. Our teams are always available 24/7/365 so that whenever a flooding situation arises, we can be there to put a stop to it before the damages increase along with the heartache. Beyond our ability to show up any time of the day or night, our crews are also ready at the drop of a hat and can be on the site of your situation within 45 minutes to begin the water extraction process. In concert with our crew’s ability to get to the scene of the trouble quickly and whenever it occurs, we are also going to make sure to bring the latest drying technology and extraction equipment to your property too. This allows our teams to make completely sure that your property will be well taken care of by the best in the business. If your home or office front is already dealing with a flooding crisis of any kind, then don’t wait another minute to contact our water damage Irving team with 911 Restoration Fort Worth today! Regularly our crews are called out to take care of flooding situations in homes and businesses throughout the area, but they are also contacted for their expertise in preventing problems from ever happening too. Make sure to trim the trees around your property and this will help to prevent branches from crashing down into your roof and brining flooding inside. Eliminate foliage with roots that cramp the potential flow of water through pipes in the ground with overgrowing root systems. Check the pipes around your property on the inside for any rusting or puddling beneath them that may be an indication of corrosion and a future failure point. Be vigilant about never placing anything into you plumbing system that it was not intended to handle with ease. This can include multi-ply as well as products that claim biodegradability. Let a restoration professional inspect your property at least every few to five years to avoid any small problems becoming larger more expensive water damage situations down the road. There are plenty of ways to protect your home from the ravaging nature of water damage situations, and this is not a total list, so if you have questions about items that aren’t listed here, then be sure to ask us for advice. Don’t let your home fall victim to the effects of a water damage nightmare without getting help from the best first. Contact our water damage Irving team with 911 Restoration Fort Worth today! Our water damage Irving specialists know all there is about the effects of flooding or invading water from any source, and this is why they have become the go-to source for providers in the area. Beyond their capacity as the best extractors in the business, our water damage Irving team is also completely dedicated to professionalism. We take pride in our ability to always put the customer first through every kind of water damage crisis, and that is why we have grown to be the most trusted providers in the area. Our water damage Irving specialists are also fully prepared to work with all insurance companies to provide you with the most affordable price that we can. 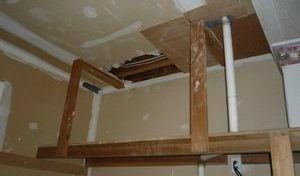 If your home or office location is already dealing with the aftereffects of water damage intrusion, then don’t let it get infested with mold too. Contact our water damage Irving experts with 911 Restoration Fort Worth and let our professionals solve it all for you today!